Graduating residents are tired of hearing it by now, but despite a good chance of having a greater income in the near future, this probably isn’t the time to trade in your used car for the keys to an expensive late-model vehicle. You want to be responsible, and that means thinking about how to spend wisely after residency. For new physicians starting to practice, a larger paycheck can be exhilarating. The average salary of a medical resident ranges from $45,000 to $60,000 in the U.S., while physicians enjoyed an average annual income of $189,760 in 2014. Plenty of financial planners can help you parcel and reinvest your newly minted resources but before you go putting your fiscal future into someone else’s hands, take the time to invest in your own financial literacy. Busy and overwhelmed as you may be, most new physicians are capable of playing an active role in their own financial planning in the short term. Bad debt is money you owe where the incurred costs are higher than your investment earnings. An example of this would be a credit card with a higher interest rate than the return rate on your investment portfolio. 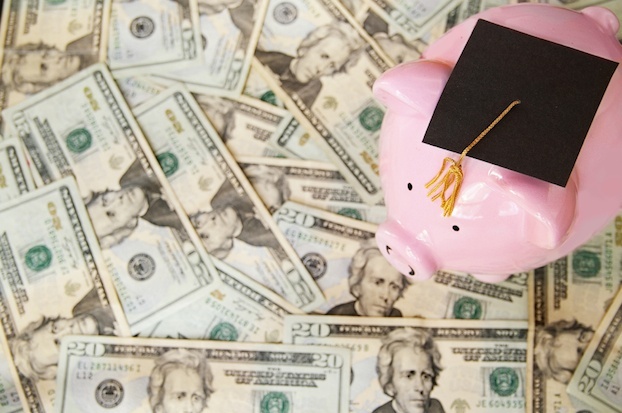 In addition, it would be ideal to pay down a good portion of your educational debt quickly. Although most student loans carry a low interest rate, high balances nevertheless create large interest payments. Bringing these balances down to manageable levels will allow you to focus on making smart investments. There will be many times during your career when you will need to have cash in hand. Whether that means keeping money in your checking account for car repairs or converting liquid assets to cover unexpected operating expenditures, you need to have enough in the bank to weather short-term cash-flow problems and maintain your standard of living. A great goal is to save half your salary. While this number may shock those looking forward to life beyond hospital cots and cafeteria food, this practice should be, if not an immediate habit, a future goal you begin working towards. Take advantage of direct deposit: Deduct a comfortable percentage of your salary – say, 25 percent – into your savings and increase it over the course of several weeks. There is no shortage of investment vehicles in which to take your money for a spin. Be careful: Markets are turbulent, rewarding different investments under different conditions, penalizing others. Unfortunately, having more money doesn’t make investing any easier, and there is no silver bullet strategy for physicians any more than there is for anyone else. Real estate: New doctors are prime homebuyers, but a new monster salary doesn’t mean you should buy a new monster home. Rather, you may want to purchase a nice but less expensive home and use some of your other funds to invest in other types of real estate such as office buildings, rental properties or raw land. Treasury-inflation protected securities (TIPS): While there's no such thing as a risk-free investment, TIPS – a type of government-backed bond – are considered to be lower risk because they maintain the pace of inflation. Tax-sheltered investments: 401(k), 401(3)b, I Bond or IRA disbursements have lower tax rates than ordinary income or other investment types. If available, take advantage of employer-provided matching programs. Insure yourself against risk. Your ability to pay off debt, increase your savings and invest your money depends on your ability to continue earning it. Strange though it may seem to a young physician, having the ability to continue making your living is not guaranteed. If and when you find yourself unable to work, short- and long-term disability policies, both group and individual, will allow you to continue earning a percentage of your income. This way you will ensure that there will be money coming in to maintain your standard of living. Most carriers periodically allow you to adjust coverage for income increases, so keep an eye on what you’re bringing in and be sure your plan reflects your full earnings potential. Having your own individual disability policy has important advantages. Even if your practice offers a group policy you may find yourself without coverage by no fault of you own if conditions force you to leave the practice. By having your own individual disability policy you ensure that you will keep coverage in force as you move between employment opportunities throughout your career. By creating a plan before you receive your first paycheck, you’ll be ahead of the game. Paying off bad debt, investing wisely, building your savings and protecting your income will give you the security to enjoy your lifestyle while looking forward to a rewarding retirement down the road.